Davis Owen Real Estate has a full-proof 3-step process to help us better assist you in purchasing your future home. Step One: Know the Client: First and foremost, it is imperative that our agents get to know you as an individual. We interview you, so to speak, to get to know what your current lifestyle is like, what your likes/dislikes are; are you looking for maintenance-free properties or a handyman special, etc. We also devote our time to asking you to look into the future to make sure the criteria given to us will still hold true for future days to come. People make the mistake of just thinking short-term without thinking beyond. Step Two: Budget: After understanding the client's personal needs it's just as important to understanding your budgetary needs. Step Three: Logistics: When step one and two are complete, it makes sense for us to know in what town/city you would like to live in. It is here where we will be able to provide you statistical information on the town. Purchasing a home is both emotionally and financially overwhelming at times. Our specialty, is to get you to think outside of the box on steps 1-3, be able to offer you houses that fit your criteria and then some! We will be happy to perform a free market analysis for you at your convenience. A good agent will insist on coming out to your home to meet with you and to see first hand the "highlights and attributes" of your home to make certain we are marketing your property to it's fullest potential. It also gives us an opportunity to observe the neighborhood in which you live in. 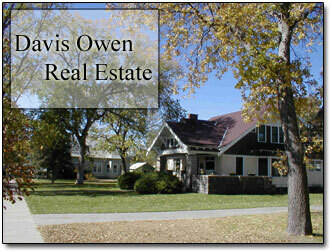 Any agent can gather data, Davis Owen Real Estate creates the data and markets it to attract prospective buyers. Selling a home is just as important as purchasing one. WE STRIVE TO GET YOU THE TOP DOLLAR FOR YOUR HOME IN THE LEAST AMOUNT OF TIME!